Updated Saturday May 5, 2018 by North Arlington Little League. 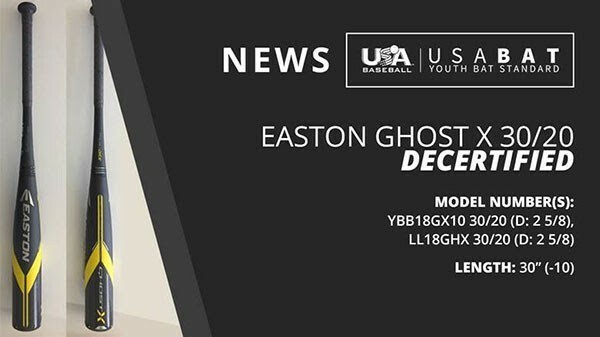 On Friday, May 4th, Little League Baseball(R) sent an email with updated details regarding the decertified Easton Ghost X 30/20 2-5/8" bat. It seems that Easton is offering $500 electronic vouchers for the return of the decertified bats. Please read the full email and follow the appropriate links below the dashed line. Thank you!